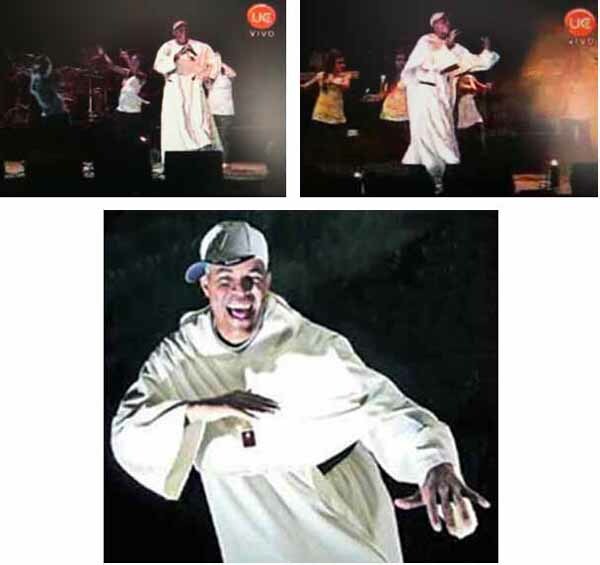 For Holy Week 2008, the Archdiocese of Santiago found nothing better to do for the spiritual life of its youth than to invite rap priest Richard Godoy to perform on the night of Holy Saturday. Fr. Richard is a Panama born priest who exercises his ministry in the prisons of Guatemala. He is from the Order of the Mercedarians. 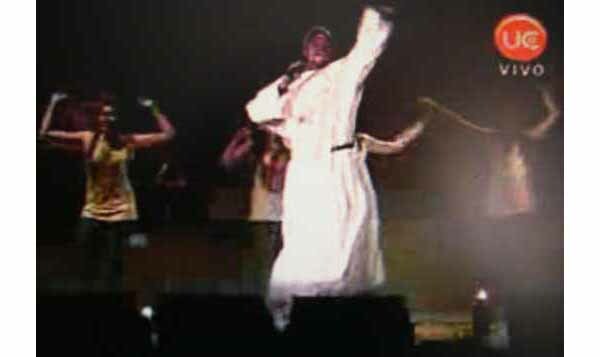 He became famous as the Caribbean Rap Priest. Rap in Spanish is regeton, so there he is called the Regeton Priest. To his rap music he adds other frenetic sounds, making his genre a mixture of rap and rock. For Holy Saturday, he performed with a band and a team of stage girls who follow his rhythm with their sensual movements and dancing, third row below. Even if the words of the lyrics mostly praise Our Lord, the whole atmosphere is that of a disco night club. It is interesting to notice how the supposedly conservative Catholic religious authorities of Santiago are replacing the traditional piety of Holy Week with a new style of commemoration. 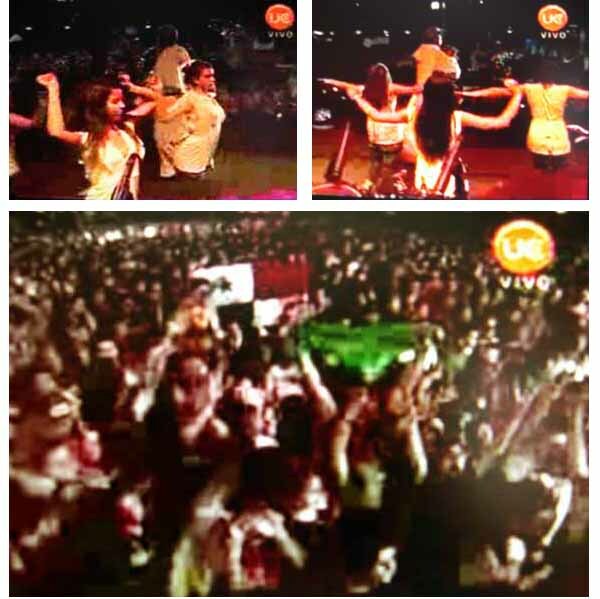 These photos were taken from the footage of the event shot by Chilean television. To watch videos of Fr. Richard's songs click here and here. The songs are in Spanish.